It’s that time of year again. A time for friends and family to come together to celebrate the holidays. 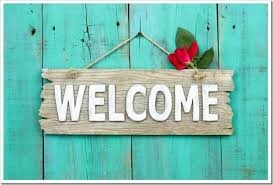 Many of you will be hosting guests in your homes over the next two months and while you are surely delighted to spend time with your loved ones, it can be a stressful time as well. If you are opening your doors to family members or friends this holiday season, here are some ideas for prepping your home so that you’ll be ready to welcome them with open arms. Stock up on food and drinks. Make sure you have different types of beverages and snacks that your guests enjoy. It’s nice for them to be able to easily grab a quick snack whenever they want. Check with your guests to see if they have any food allergies or dietary needs so that you can provide safe and healthy choices for them. How to Declutter in a Snap! A cluttered house can be overwhelming. You might be frozen in fear of decluttering because you just don’t even know where to start. When you’ve worked all week and you finally have some free time, the last thing you want to do is clean up the house. 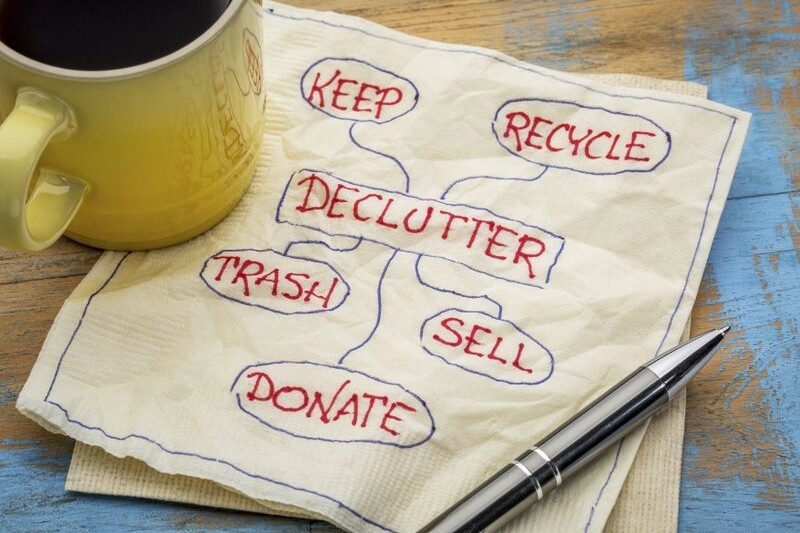 But trust me, once you declutter, you will be able to enjoy your free time more in an organized and tidy home. 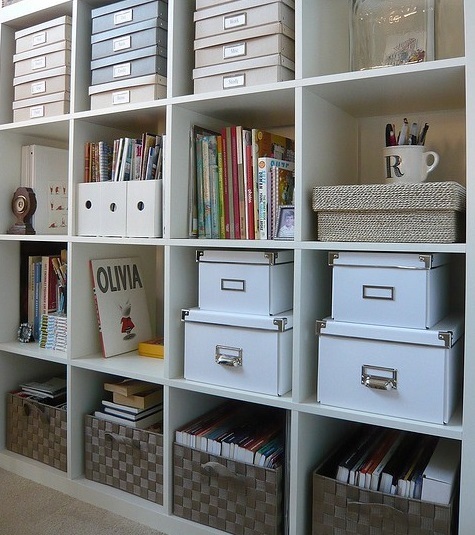 Decluttering doesn’t have to be a massive, time-consuming project. There are small projects you can do in 30 minutes or less. Pick one or two projects a week and in no time clutter will be a thing of the past! Have you read the book? If not, be honest with yourself - do you think you are likely to ever read it? Did you enjoy the book? If it isn’t a favorite, pass it on. Will you reread it, refer to it or lend it out? Nope? Let it go. - Clear the kitchen counter - The poor kitchen counter. It’s a dumping ground for all sorts of stuff: school notices, hair ties, shopping bags, receipts, etc. Don’t worry! You can Get Rid of Kitchen Counter Clutter! You just have to start somewhere. Recycle unneeded papers and put away items that belong elsewhere. If you need a drop-spot on the counter (because face it…you’re probably going to put more stuff there tomorrow), make it a clearly defined zone to prevent clutter sprawl in the future. A cute bowl for pocket change or a decorative tray or basket for mail will look nice and keep things neat and orderly. 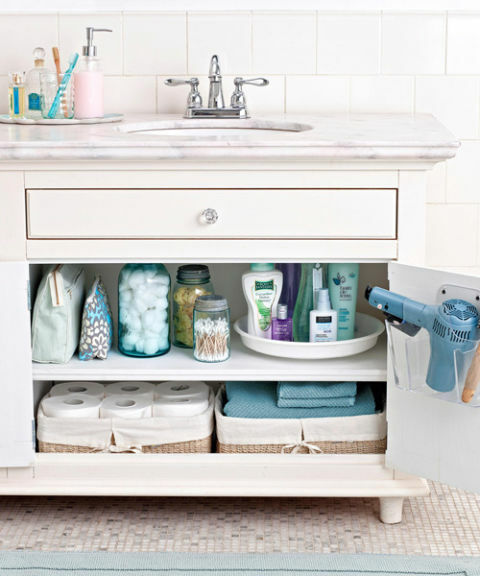 - Make space under the kitchen sink - If you haven’t looked under your kitchen sink in a while, you might be surprised to discover that it has become a storehouse for random cleaning products, plastic bags and miscellaneous tools. Pull it ALL out! Give the cabinet a good cleaning. Then only replace the items that you actually use, that are full and in good condition. 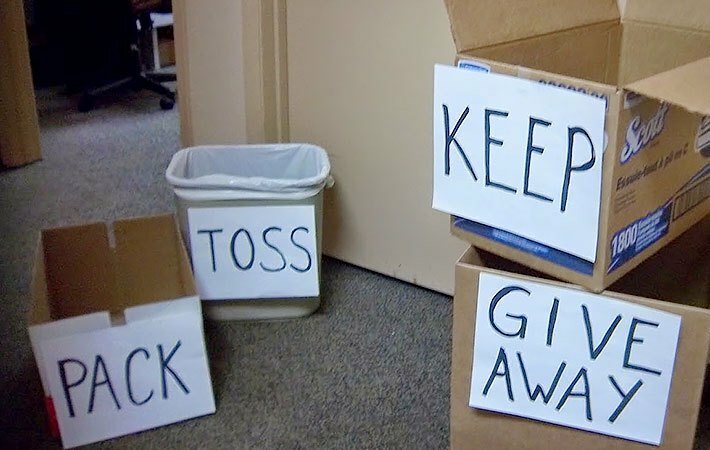 Recycle empty containers, and move items that belong somewhere else to their appropriate spots. - Create a calm oasis on your bedside table - How can you rest peacefully when a cluttered nightstand is the last thing you see before closing your eyes to go to sleep? And chances are you start your day feeling discombobulated because the disorganized mess is also the first thing you see in the morning. Clear away the toppling pile of books, scribbled notes and old water glasses. Wipe off the dust - it’s time for a fresh start. Replace only your current reading, a journal and pen and perhaps a meaningful photo in a frame or small vase of flowers. - Go through your wardrobe one drawer at a time - Trying to tackle your whole wardrobe at one time will feel like a staggering task. Instead, set a timer for 30 minutes and start with a single drawer. Keep working your way through your clothes one drawer at a time until the timer goes off. Eliminate items you know you won’t wear anymore. If they are in good condition, pack them up to donate. 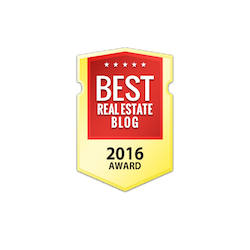 If you are decluttering to prepare for listing your home for sale, let experienced Realtor Sandra Nickel and her Hat Team of Professionals assist you in understanding how to stage your house to sell! Call them at 334-834-1500 today! If you are planning to put your house on the market, there is no time like the present to start getting organized for the process of staging, showing and moving out of your home. Begin now by following the tips listed below and you won’t feel so overwhelmed when it’s time for that first open house! Eliminate Piles before you sell. Some of us suffer from "flat surface syndrome" . If there is a flat surface, it’s covered with “stuff”. Now is the time to eliminate any of the “stuff” cluttering the horizontal surfaces in your home. Things such as mail, magazines and other odds and ends that are piled on the tops of tables, desks and shelves should be removed. Clear out storage areas. If your closets, bookcases, pantry, and other storage areas are overstuffed, this is a red flag for potential buyers that screams, “not enough storage!”. Keeping a minimum number of items in your house will leave the impression that there is a generous amount of storage in your home. Get rid of excess. 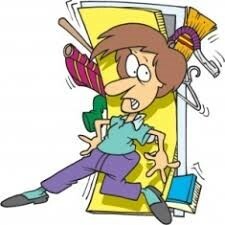 Eliminate or pack up items that you won’t need before you move. For example, only keep enough dishes, towels, sheets, toys etc. that you will use during the time your house is for sale. Why have ten sets of sheets in your linen closet when you will only need one or two? Remove seasonal items. Pack away things that are only used during other seasons. If you are selling in the fall/winter, pack away your spring/summer clothes. You can also pack away off-season holiday items. Throw things away. If it’s worn out, broken, rusty, stained, torn or incomplete, it is time to let it go. If your belongings look shabby and old, your house will look that way too. Don’t hesitate to throw such items away. Donate items you no longer want or need. When you are cleaning and sorting items, if you come across things that you don’t use now and won’t use in a new home, donate them. There is no point in packing and moving something you will never use. But if it’s in good shape, someone else will get use out of it. Sell before you sell. If you find that you have many items to eliminate from your home, think about selling what you don’t store, throw away or donate. You can sell at a yard sale, bring items to a consignment shop, or list items online. But have reasonable expectations regarding how much money you can make; don’t overprice. Remember the goal is to dispose of as many things as possible. Rent a storage unit. Move large items/equipment that you don’t use often to a storage unit. It can also provide space for packed boxes to give you a head start in preparing for your move. Improve curb appeal. Remove any clutter (toys, lawn ornaments, garbage bins) from your yard. The outdoor spaces provide the first and last impression for potential buyers and as such, it is important that they look neat and tidy. Moving can be stressful, so don’t wait to start preparing. 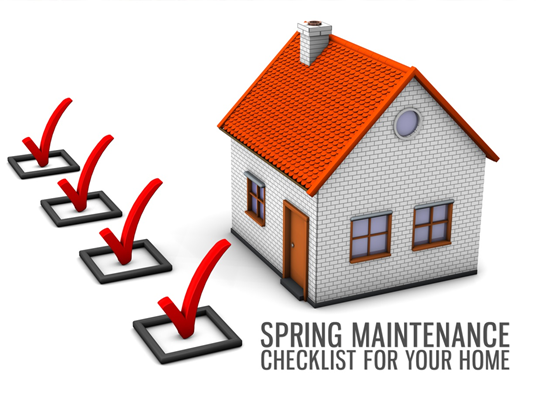 Get a head start before putting your house on the market! Moving from an old house into a new house can be an exciting. It can also be a very stressful time for those folks who don’t like to throw anything out. Don’t worry. You can keep most of your items, but there are a few that should most definitely be thrown out before you move and those are listed for you below. 1. If you have a lot of old towels and rags lying around your house, whether you use them or not, you might want to get rid of those before you move into another home. These types of things can carry bacteria on them. And you don’t want to start out in your new place with dirty items when you can purchase new ones once you arrive. 2. Make-up is good to have but it does have a shelf life. Once that has passed, it isn’t really good to keep it around. Avoid the compulsion to throw all of your old makeup into a box and take it with you. Although you use it once or twice, there really is no need for it because it won’t look as nice as a new pallet of makeup. 3. Soaps, deodorants, nail polish, and sunscreen may be things you use on a regular basis but you really don’t need to take up space in your moving boxes for these types of items. These things don’t cost a lot of money and can easily be purchased anywhere. 4. Once you start packing and you find a ton of USB cables, realize that you don’t need them all and get rid of a few of them. You may have a friend in need of a USB cable that you can bless with one or two. 5. Don’t pack paperwork unless it is absolutely necessary. Of course you will have to keep important contracts and tax information, but most of the paperwork you’ve collected over the years is likely now obsolete and can be thrown out before you head out. 6. Last but not least, go ahead and let go of all of the clothes you can no longer fit into. Donating these types of items can many times be a big blessing to others.